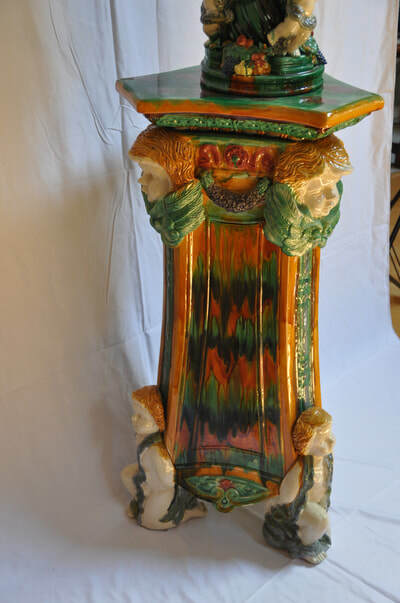 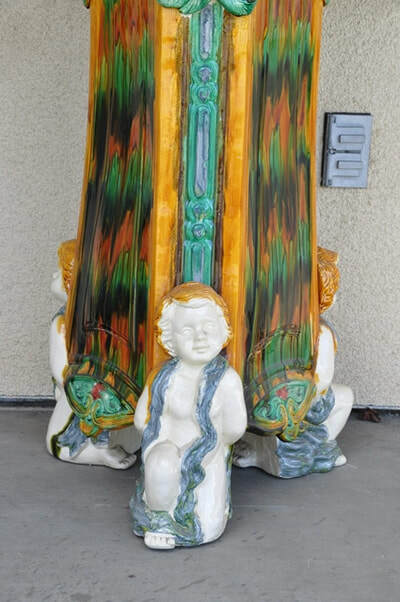 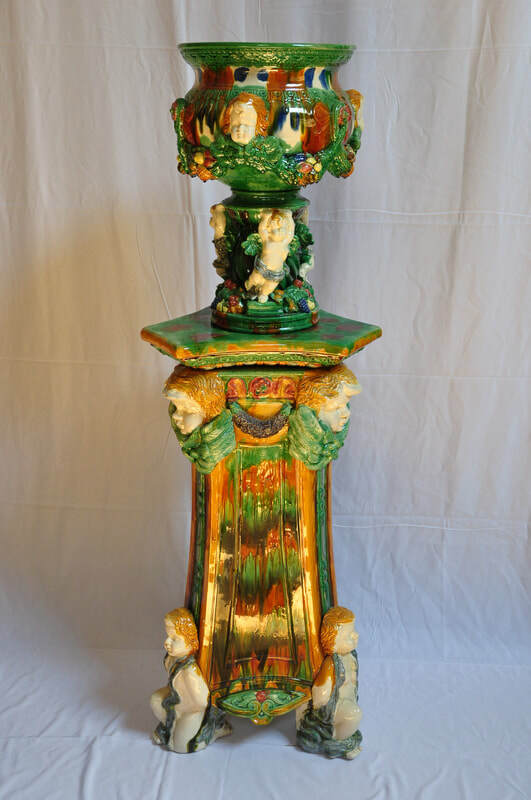 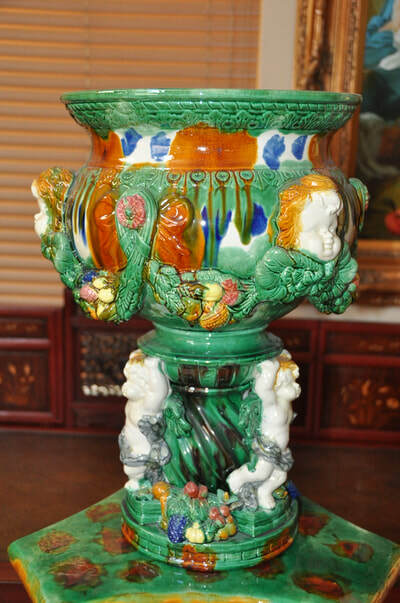 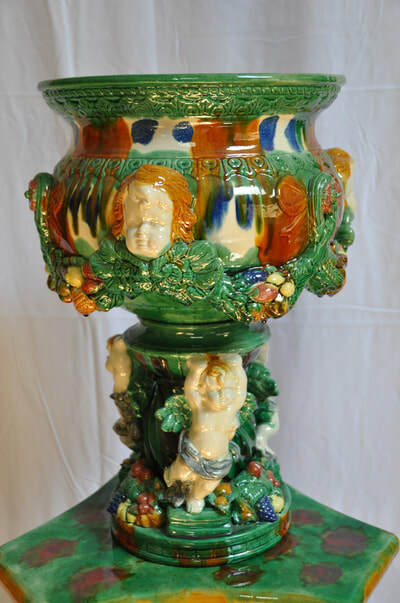 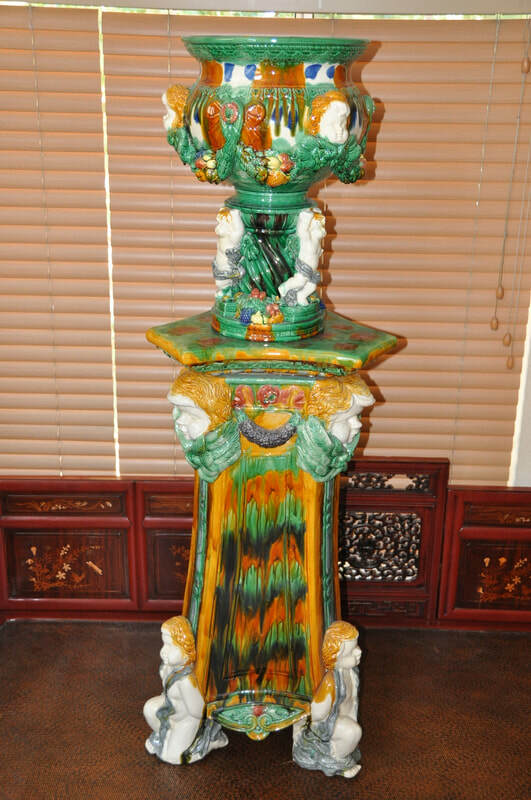 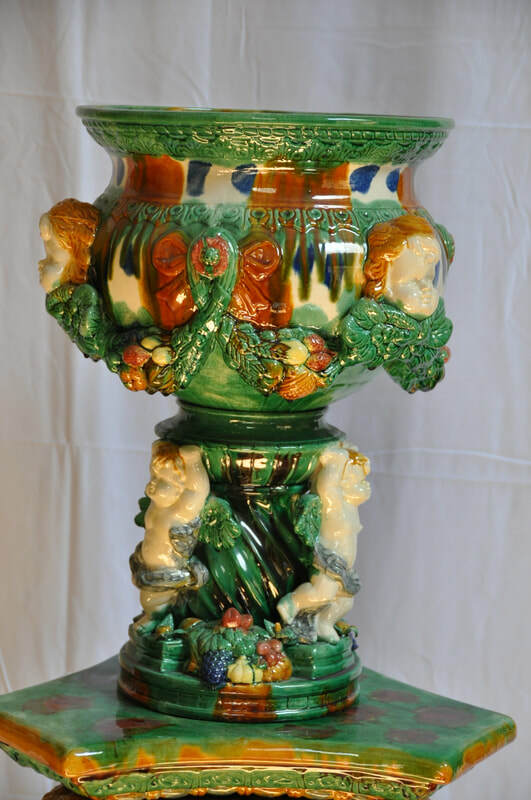 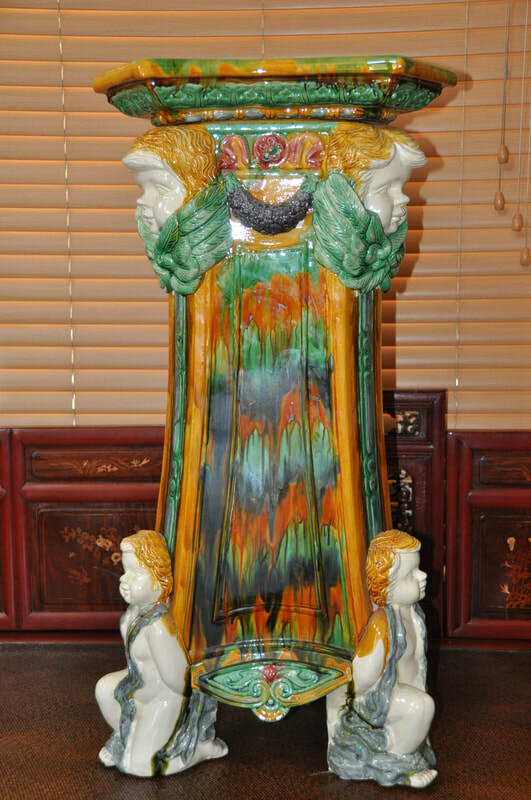 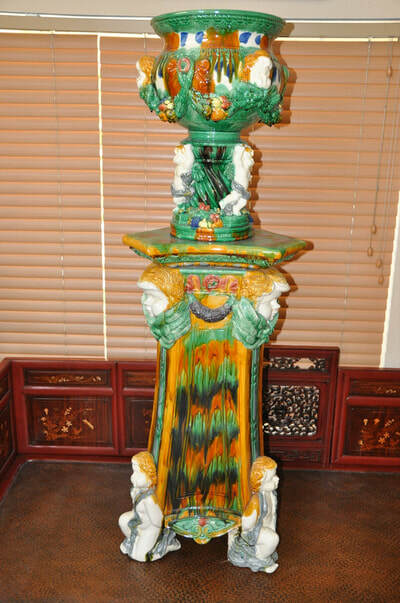 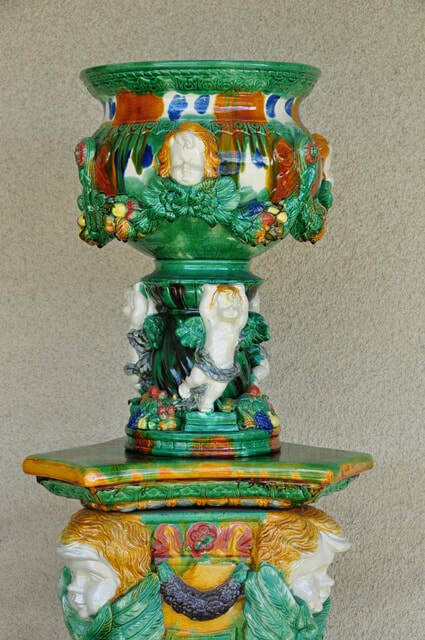 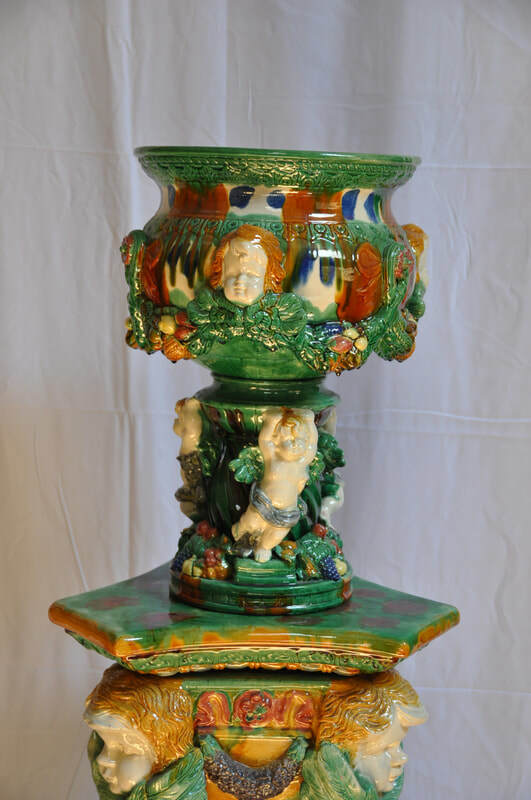 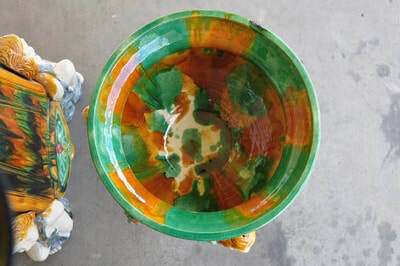 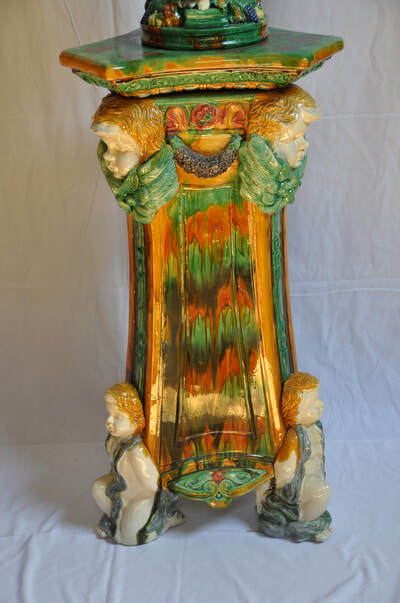 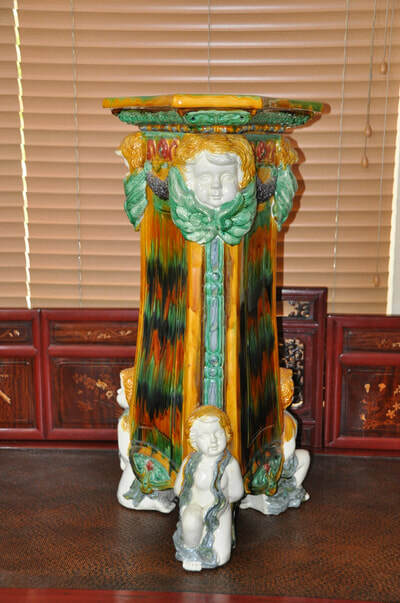 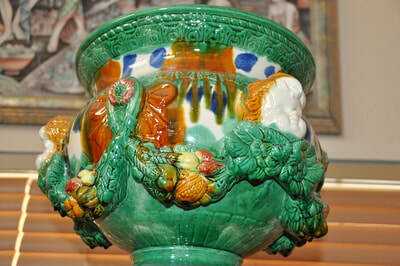 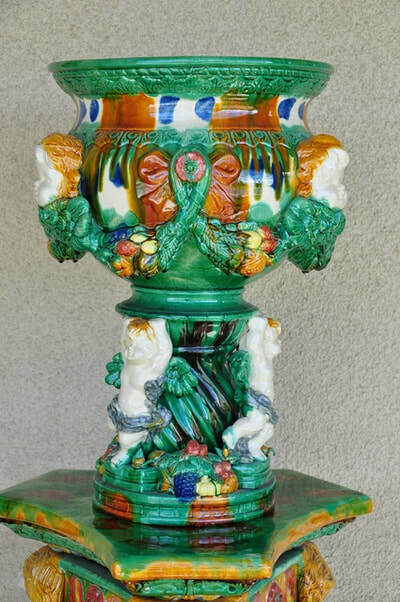 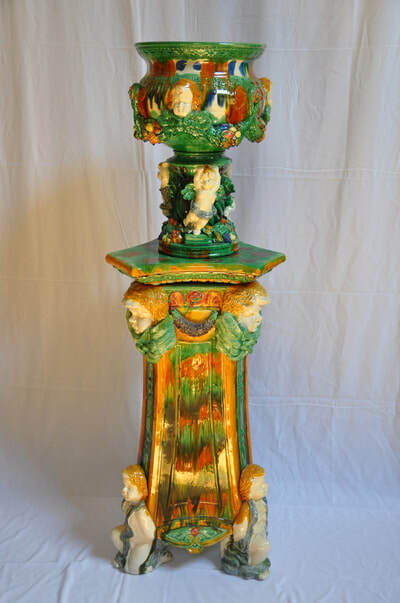 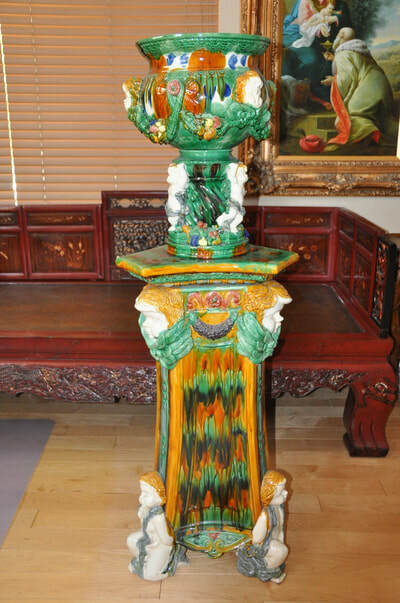 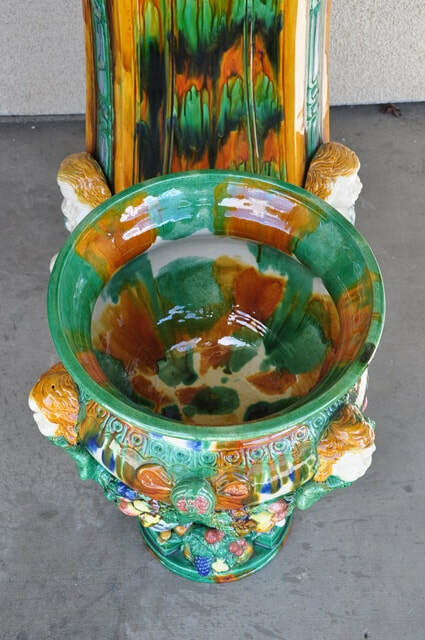 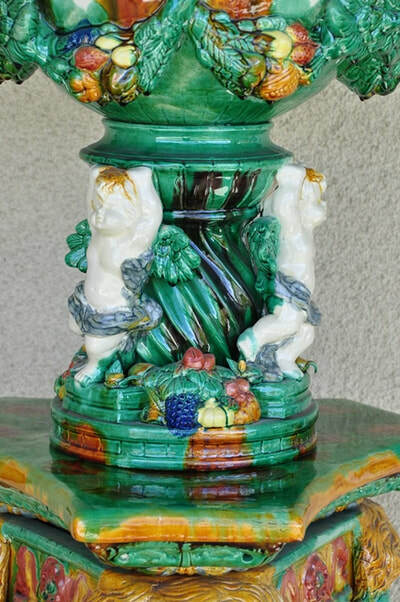 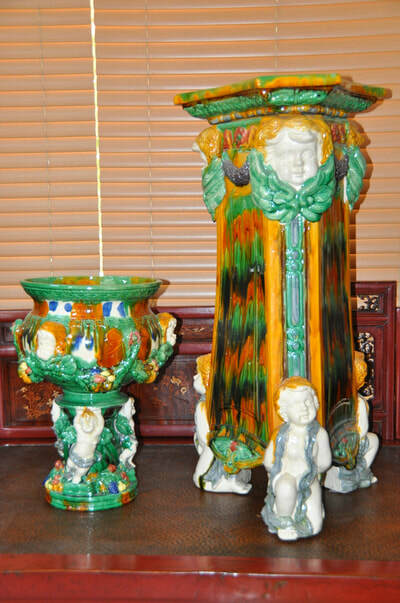 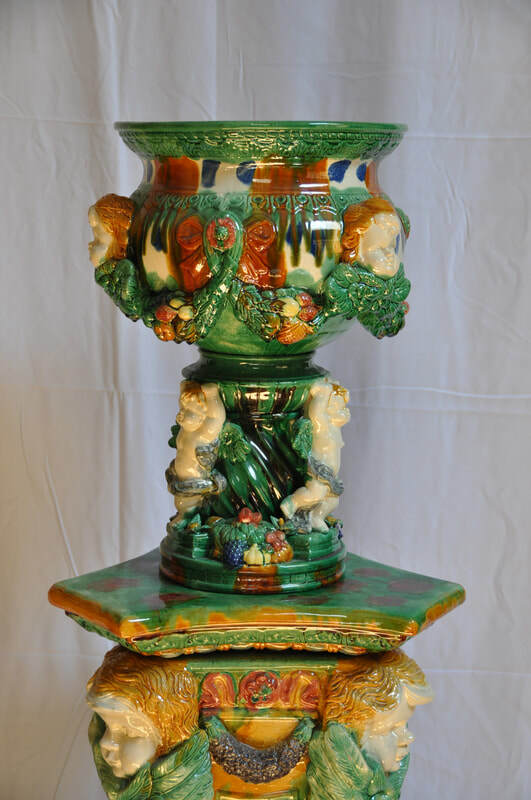 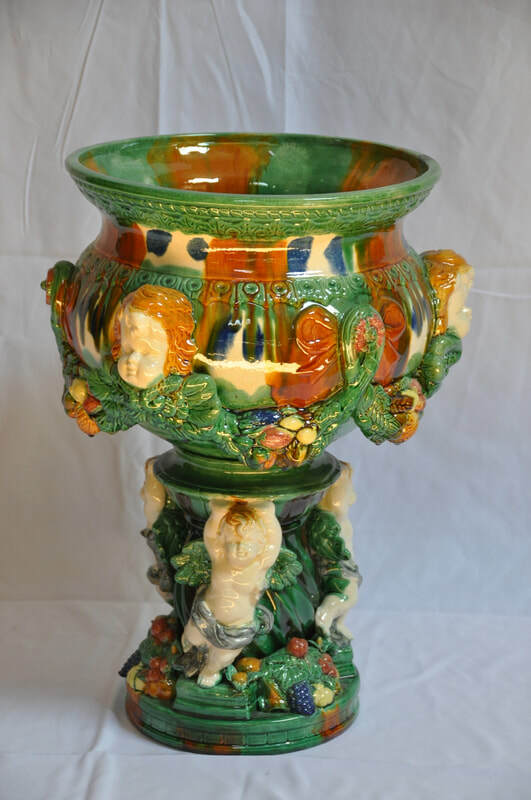 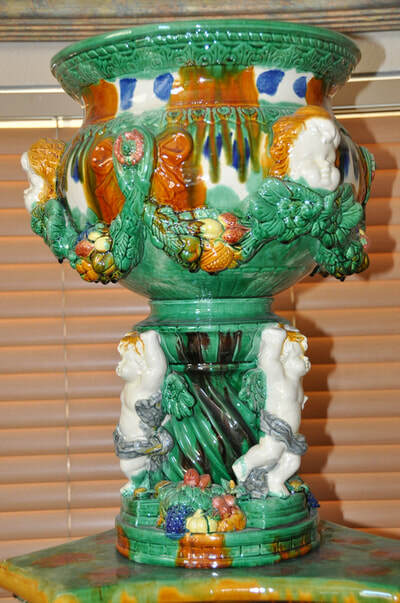 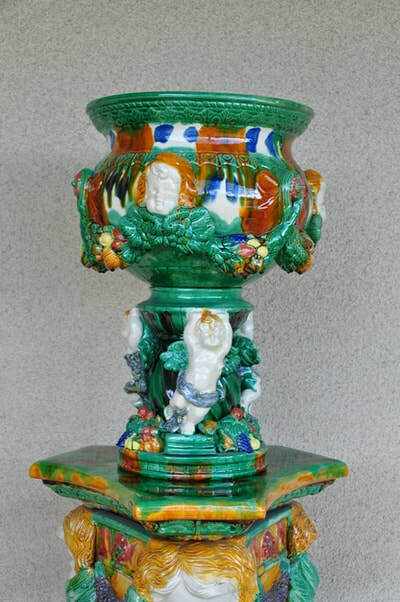 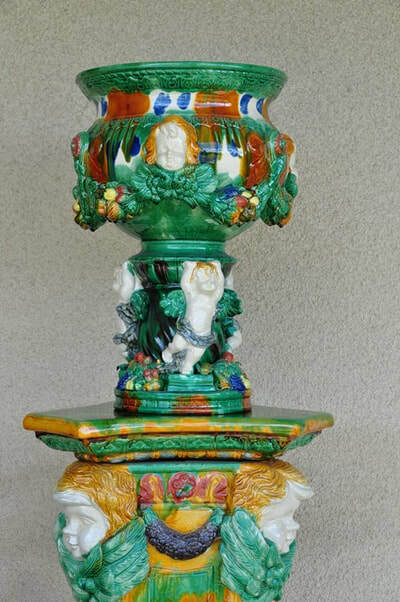 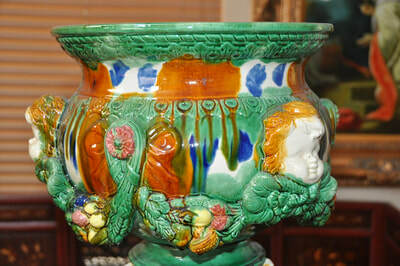 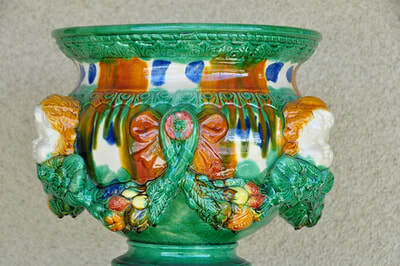 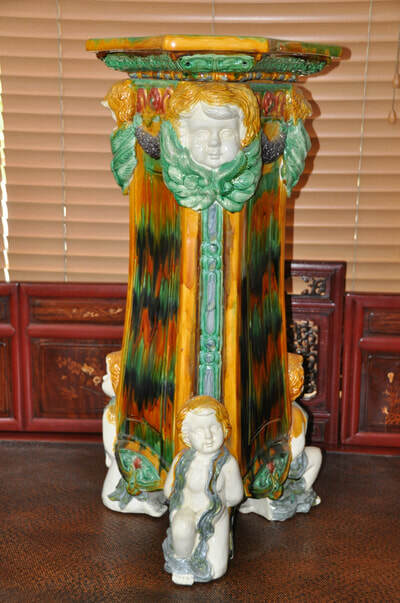 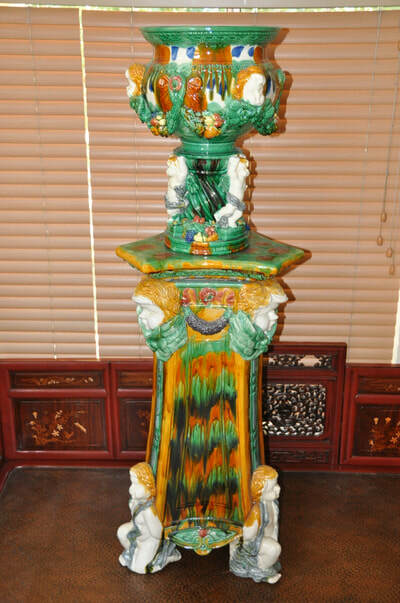 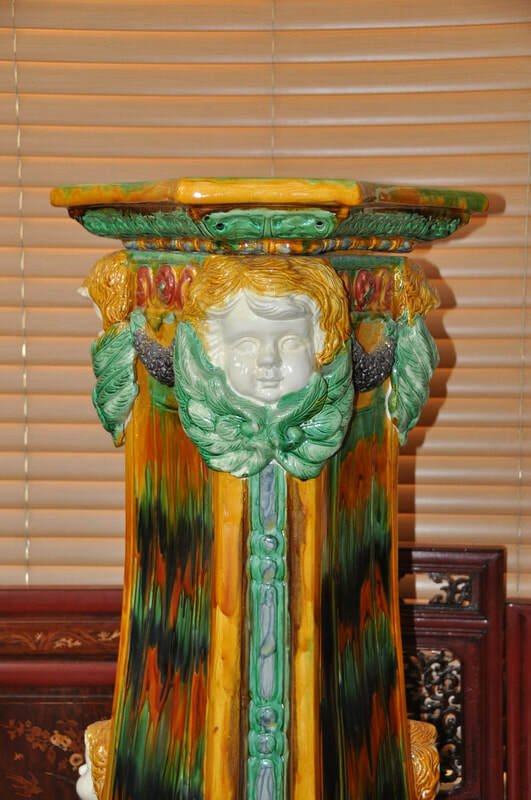 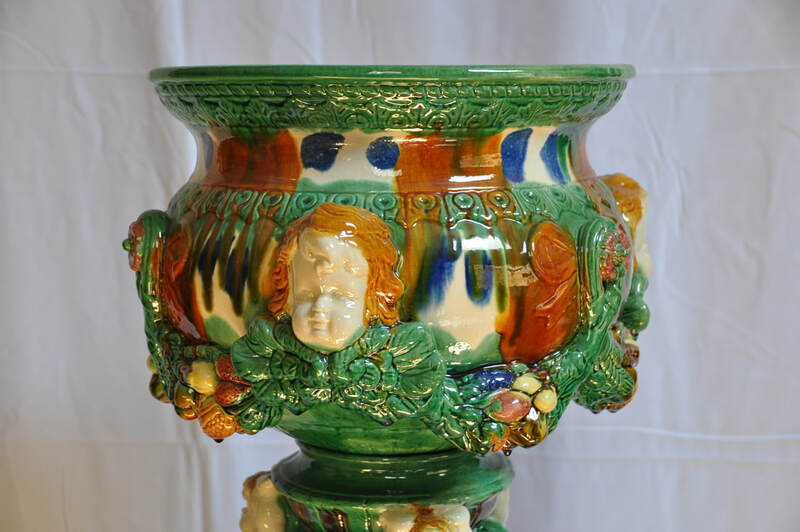 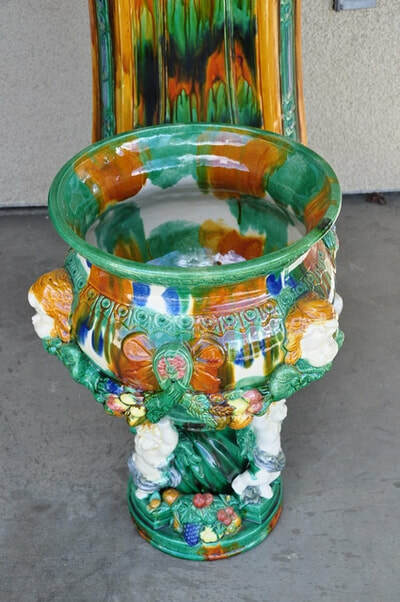 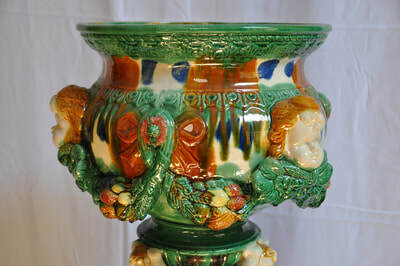 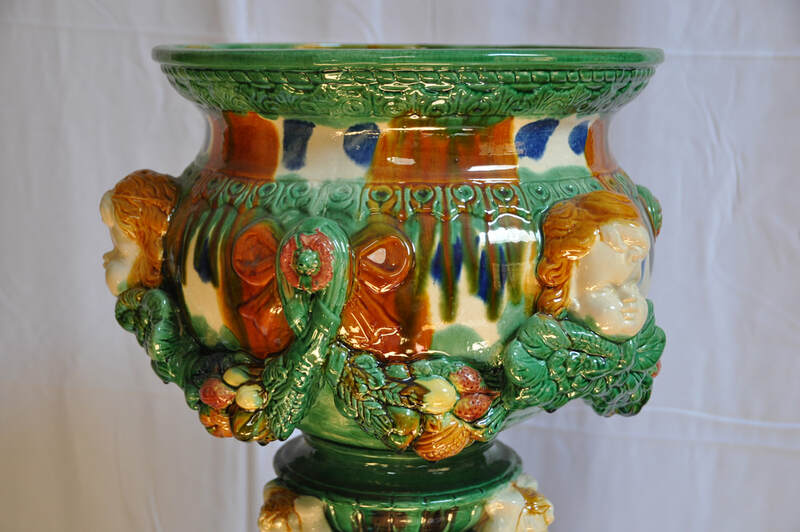 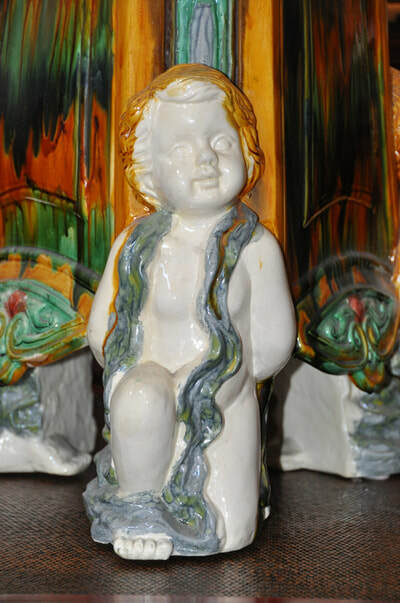 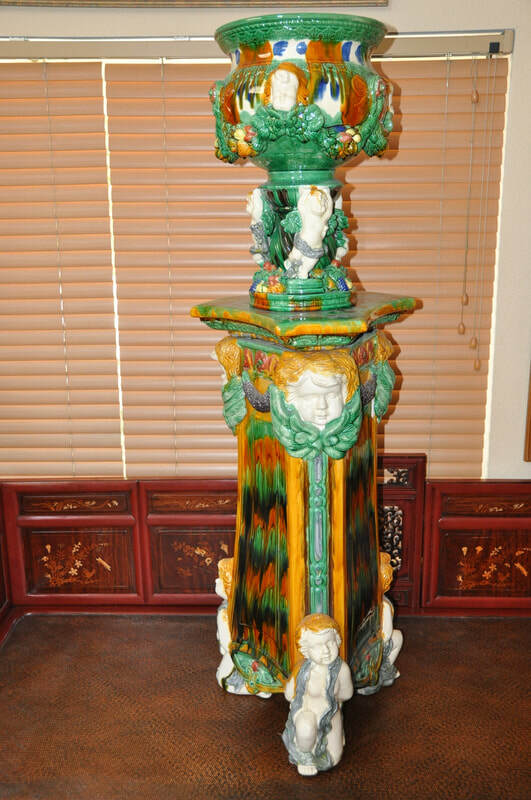 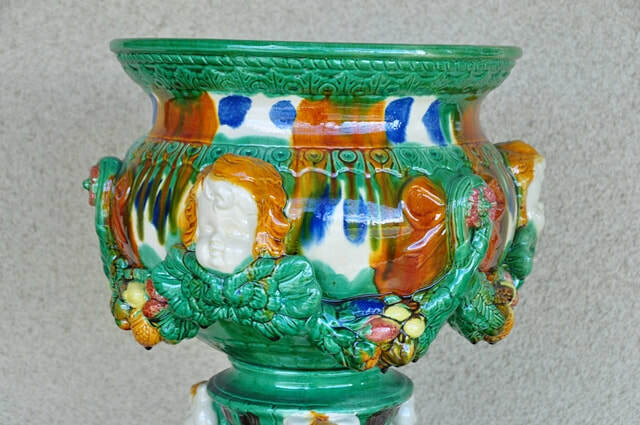 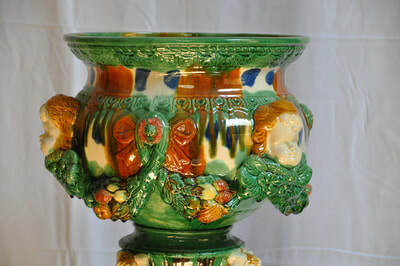 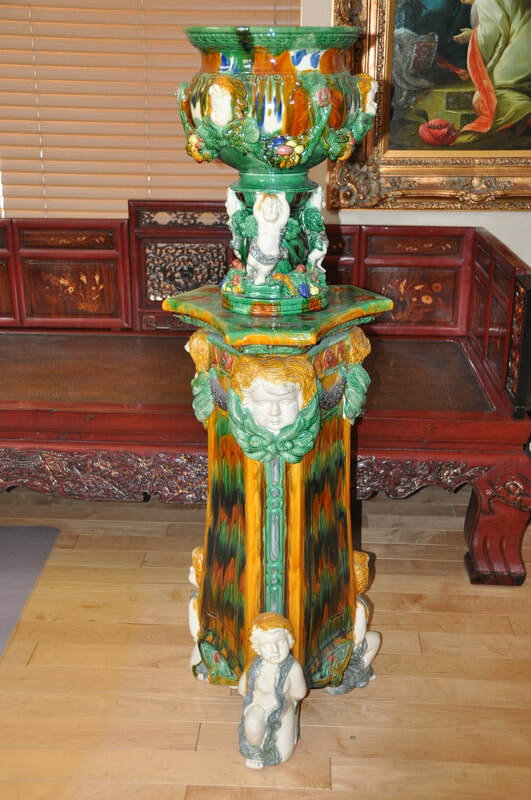 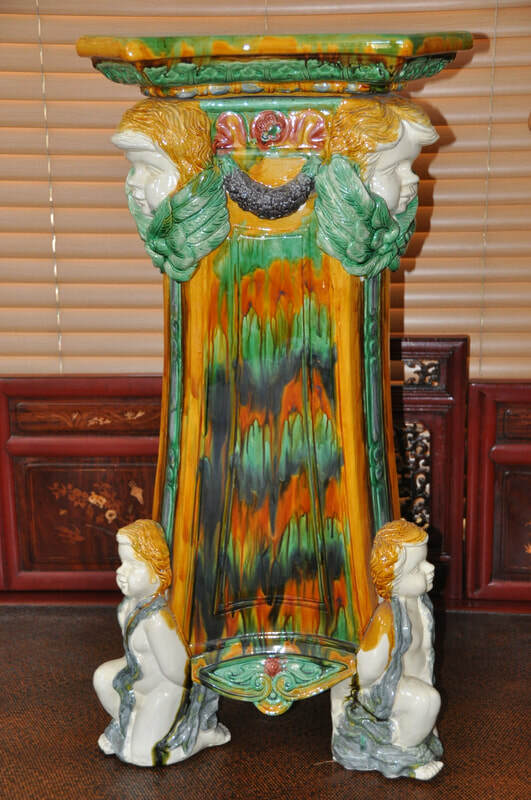 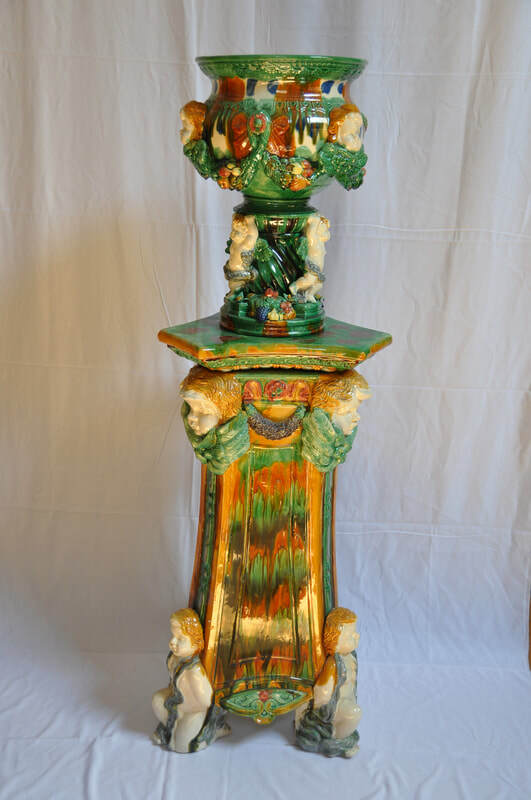 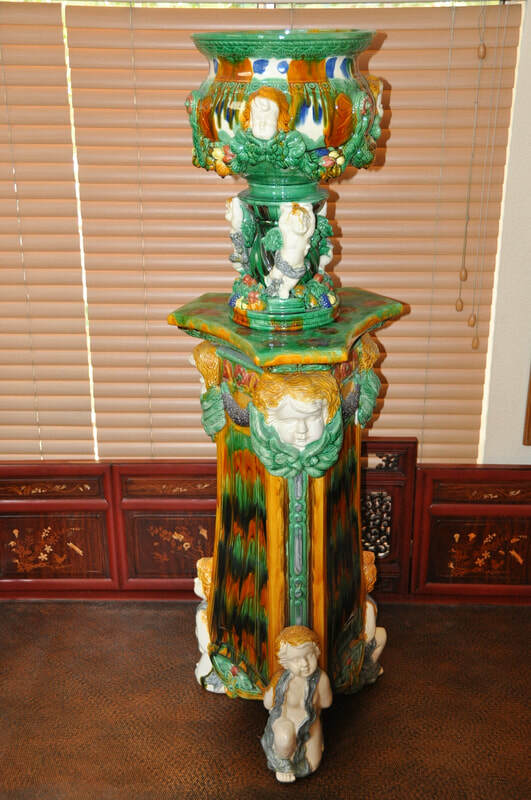 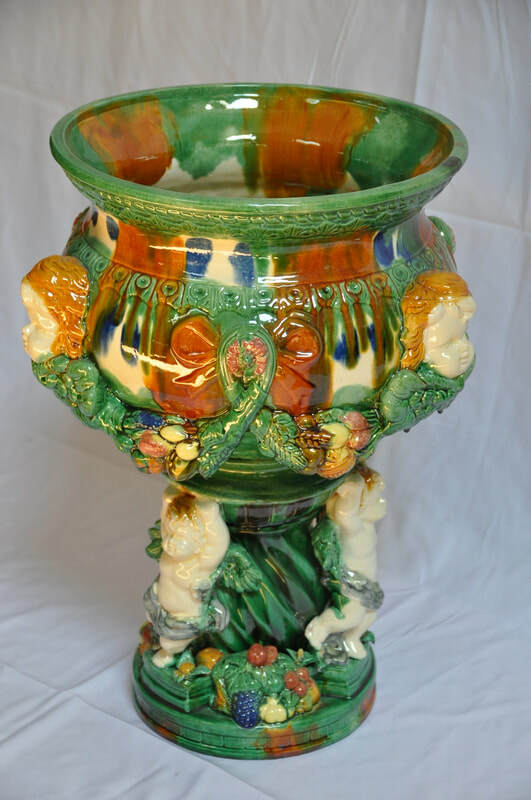 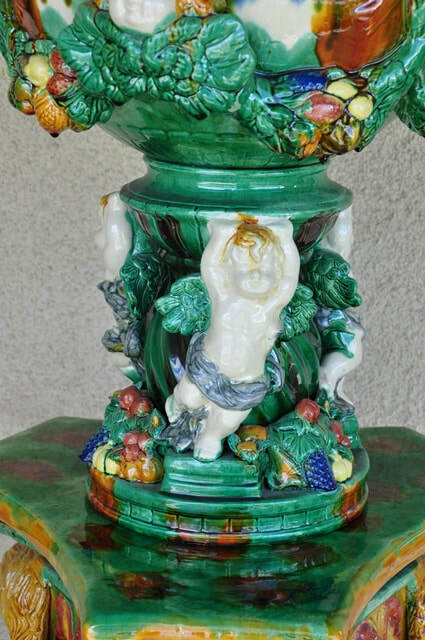 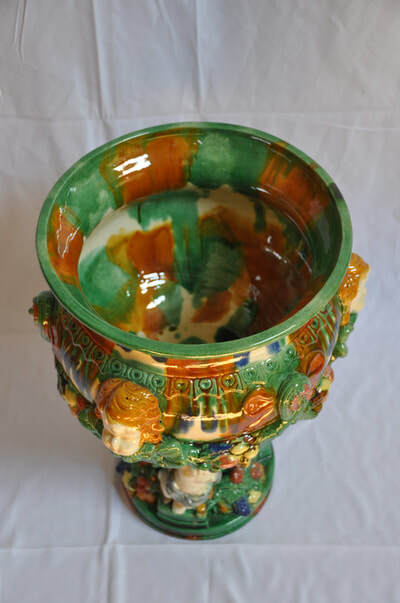 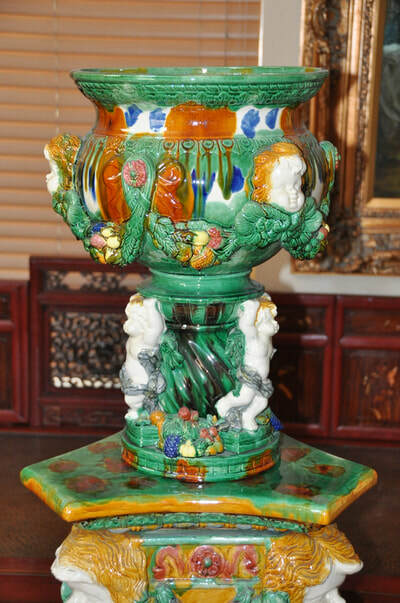 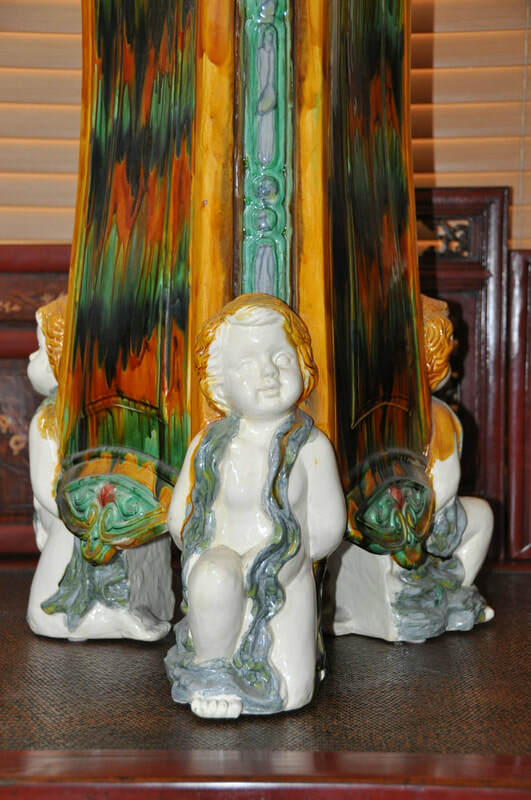 This is a large footed ceramic jardinière on stand in green and mustard, decorated with putti, garlands of fruit, nuts and vegetables, some in bas-relief. 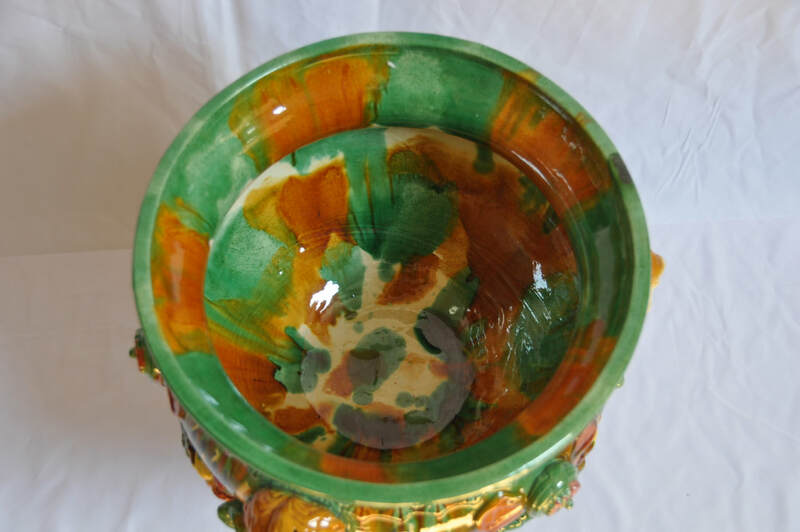 The jardinière bowl has been accented with swags and 3 putti heads. 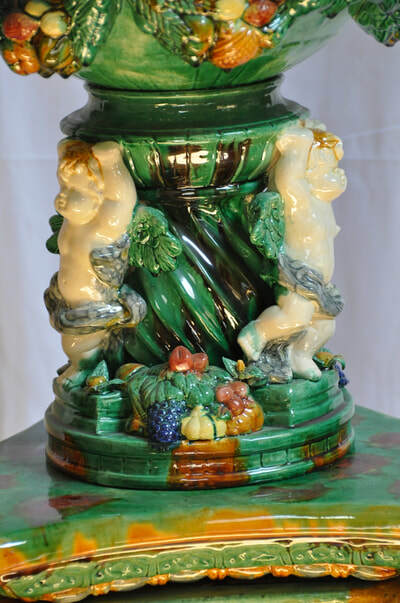 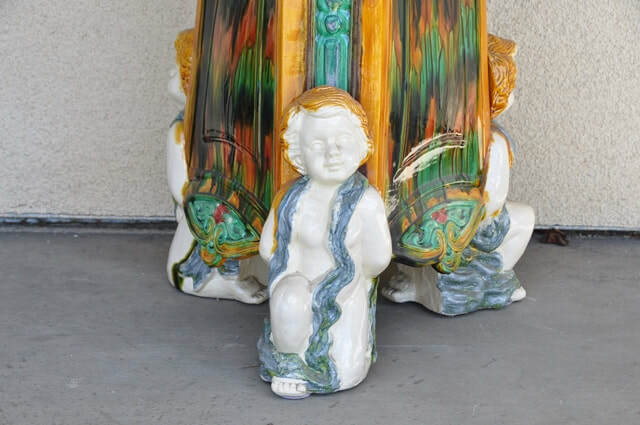 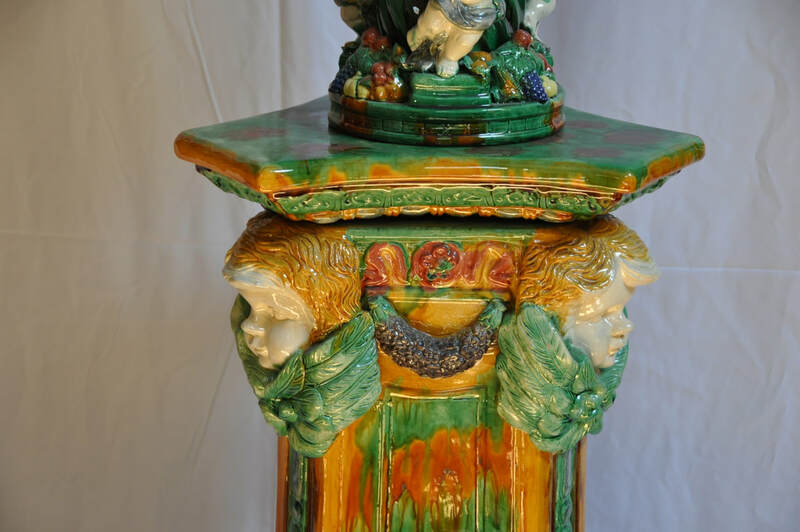 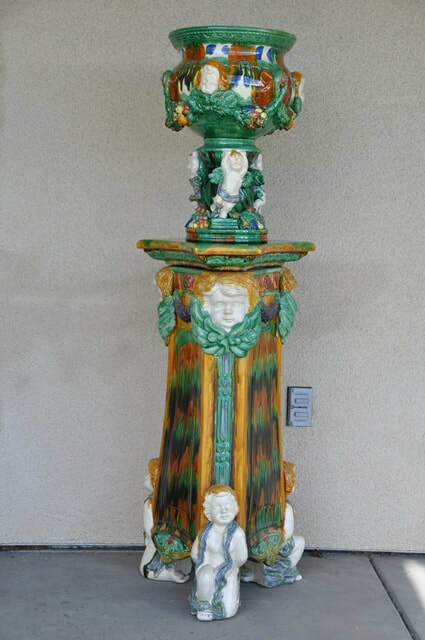 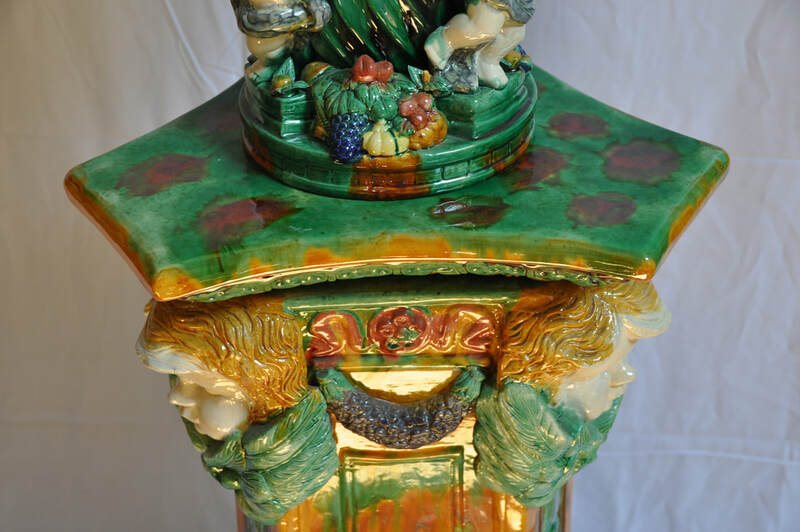 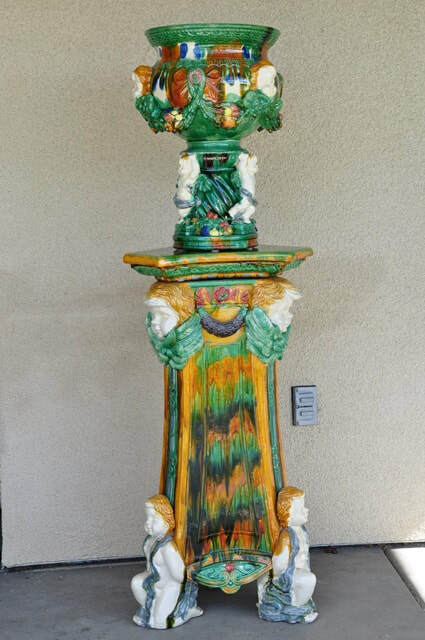 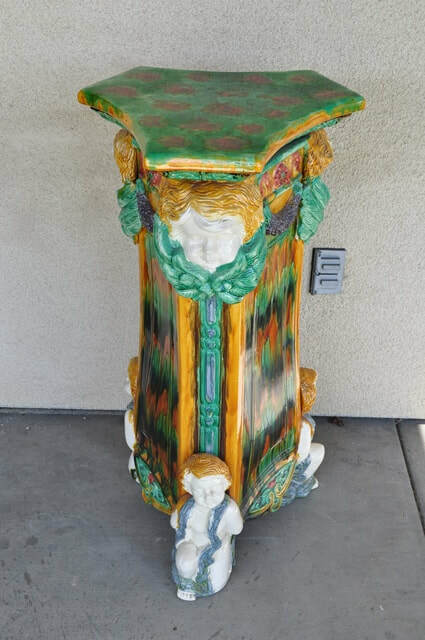 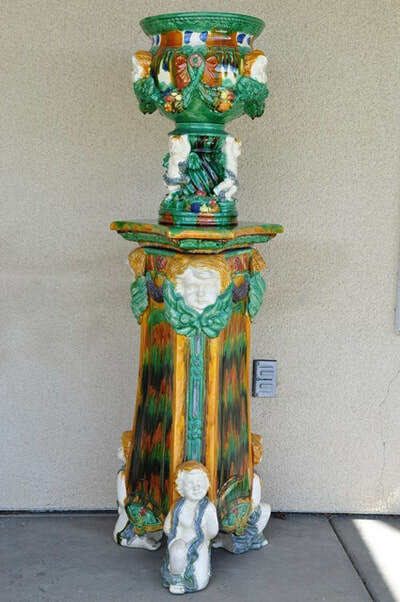 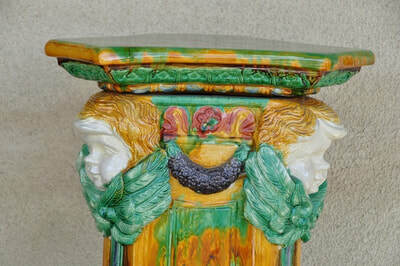 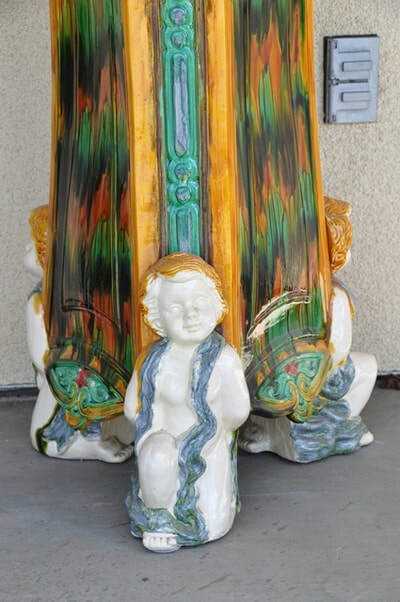 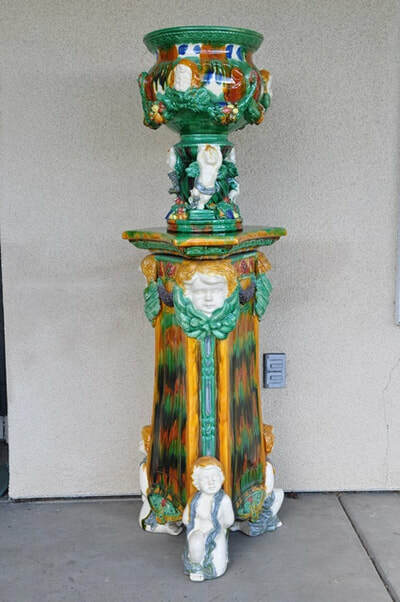 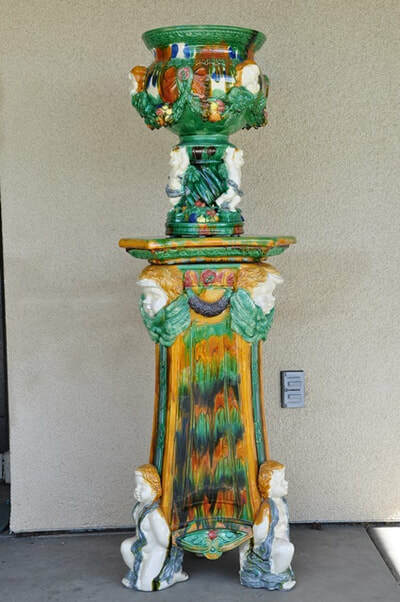 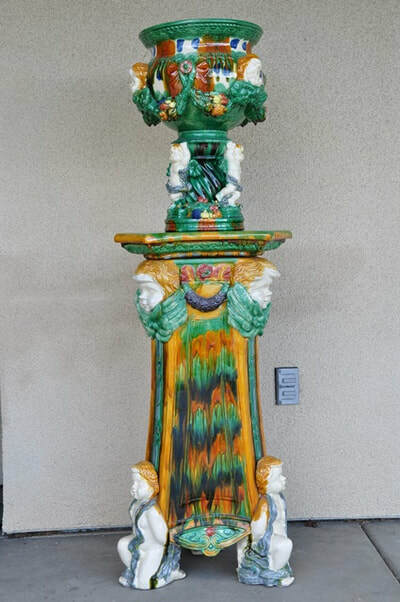 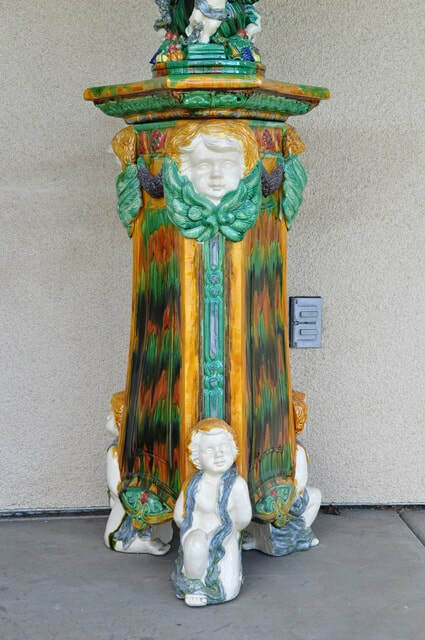 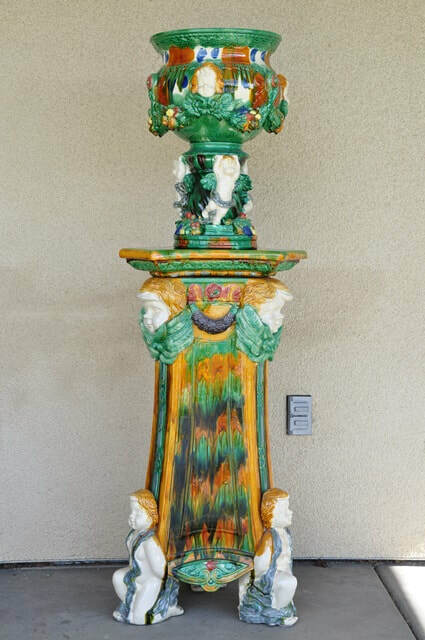 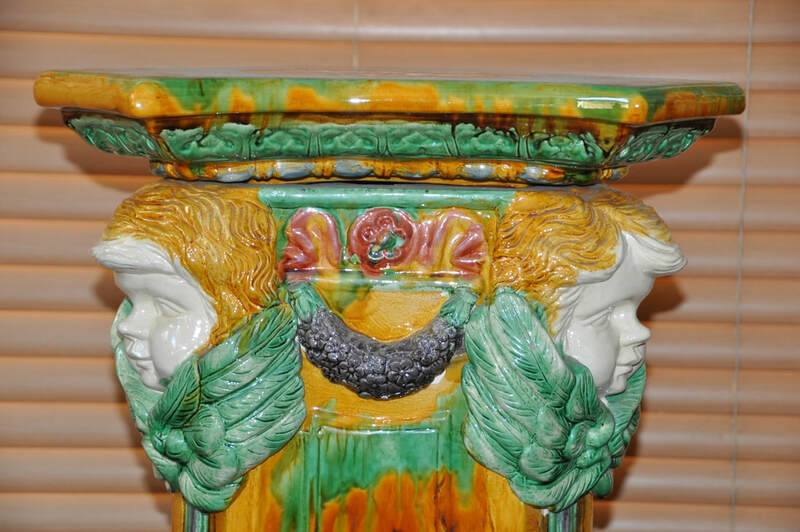 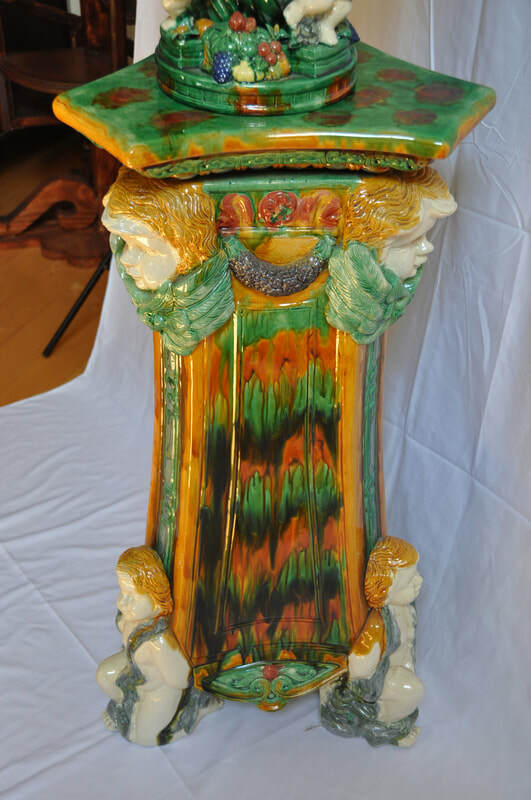 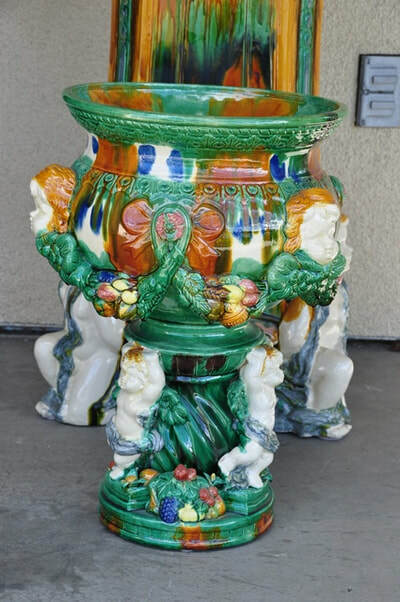 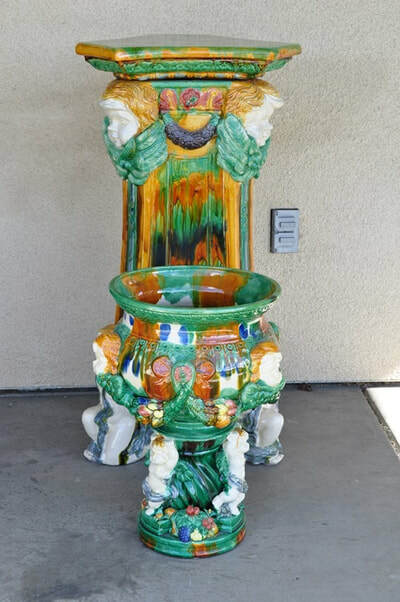 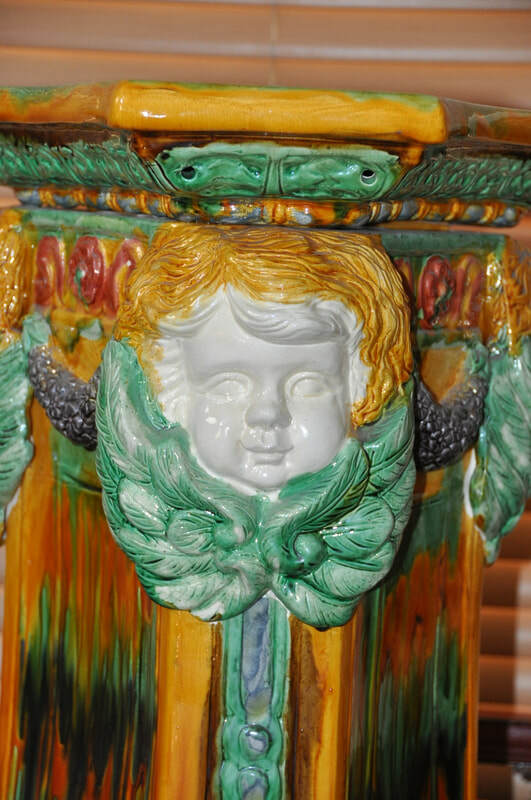 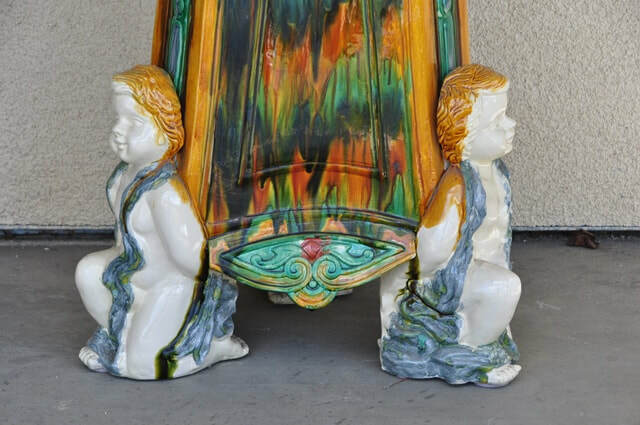 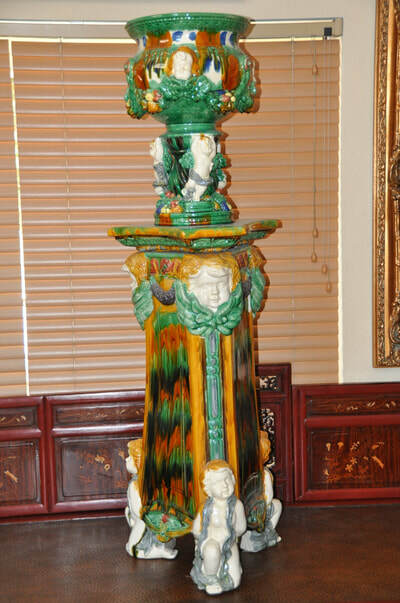 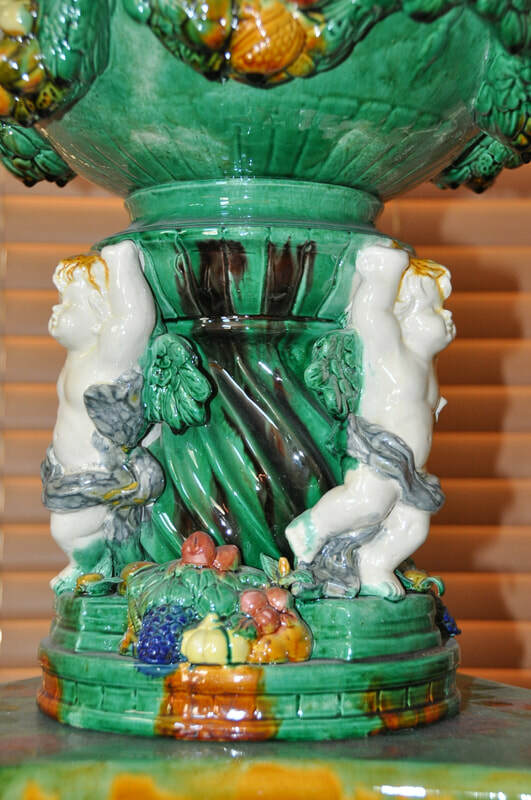 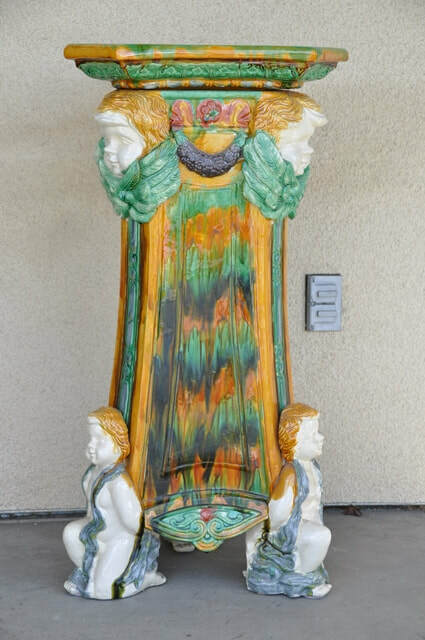 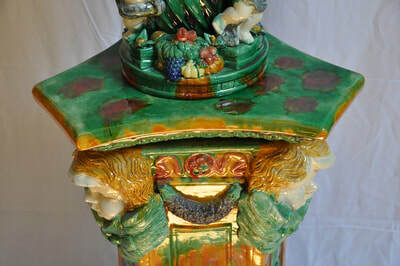 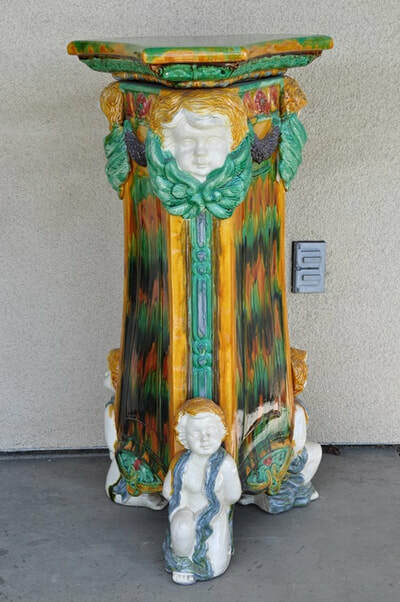 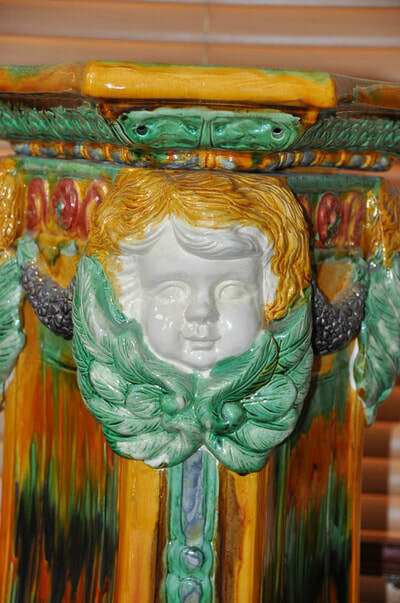 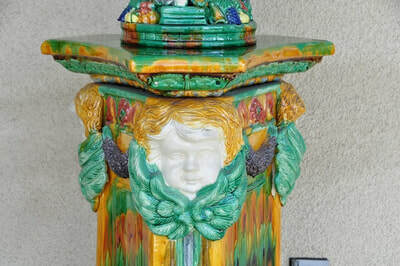 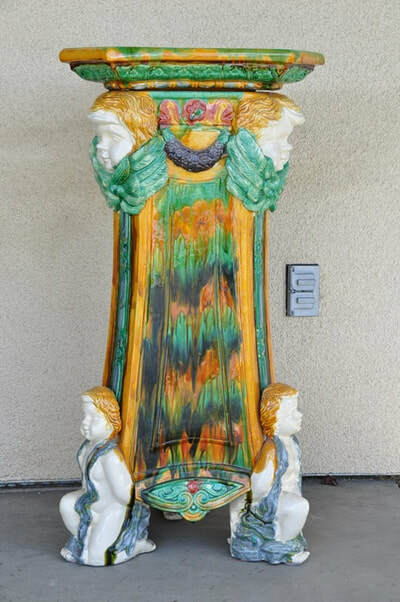 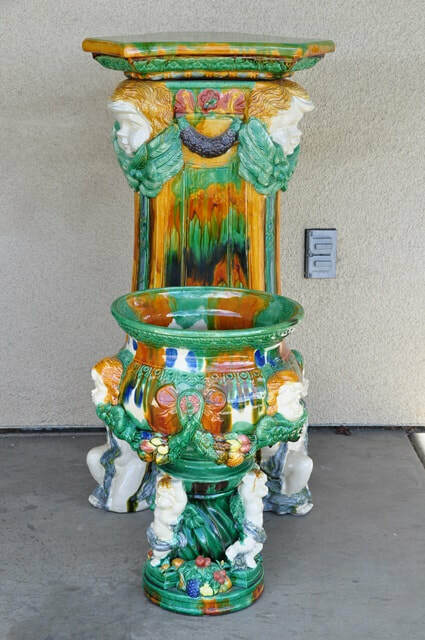 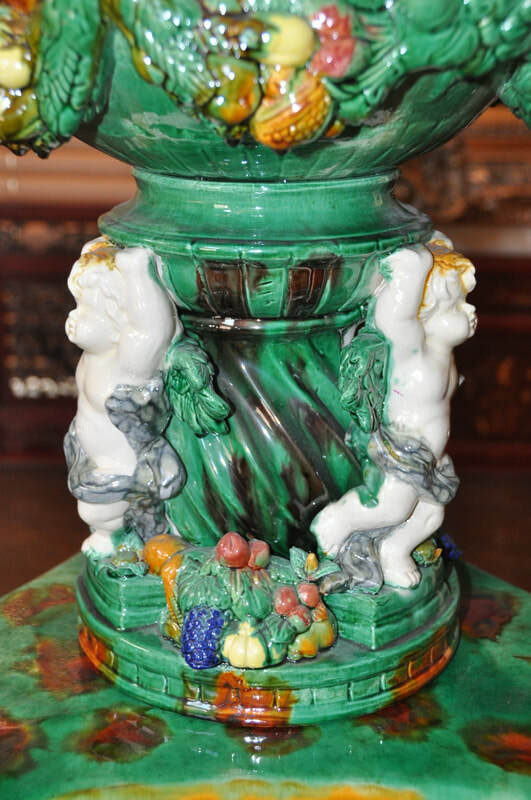 The jardinière pedestal also has 3 putti and accents depicting fruits, flowers and vegetables. 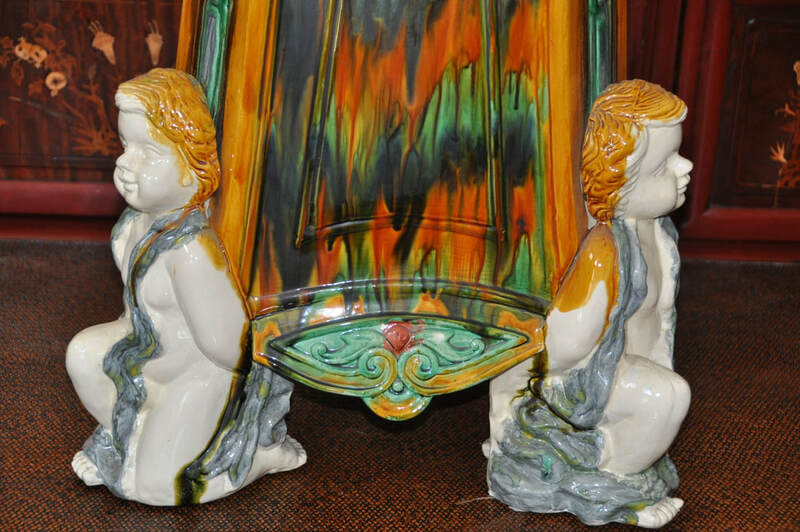 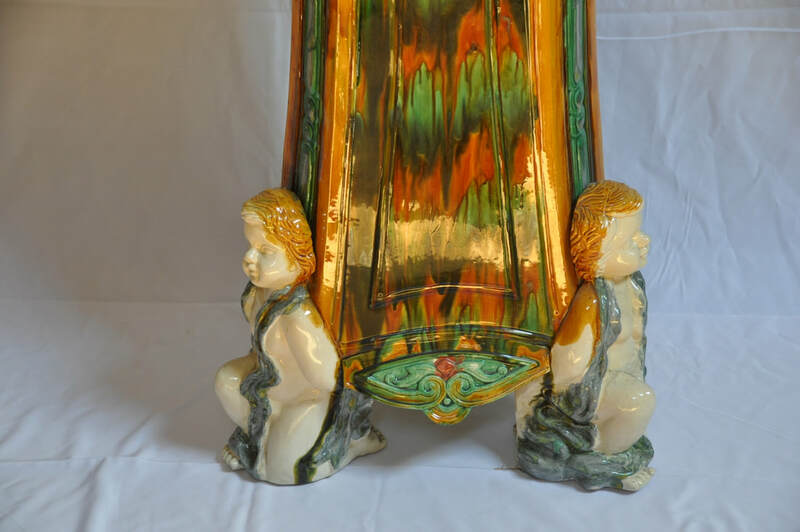 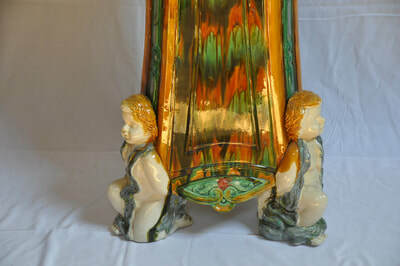 The large triangular form stand has 3 putti heads near the top and 3 putti near the base. 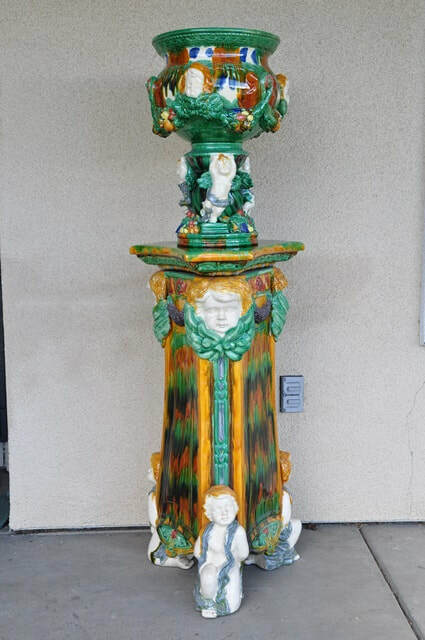 The jardinière is about 21" tall, 15" wide and weighs 20 lb. The stand is about 37-1/4" tall, 20" in diameter and weighs about 55 lb. The overall height of this set is about 58".